TV characters, like people in real life, can be picky about the beer they drink. "The Good Wife"'s Alicia Florrick drinks FG -- at least when she's not drinking red wine or tequila. Dexter drank Skull Island, while the titular Earl Hickey of "My Name is Earl" drank Heisler. Nick Miller used to drink Heisler too, but switched to El Brazo midway through season two of "New Girl." 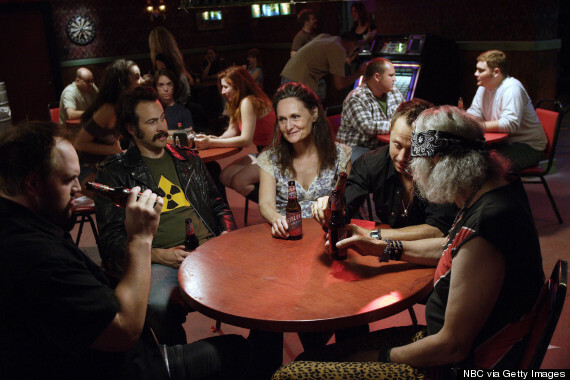 Will, on "About A Boy," drinks Cerveza Clara, which is also popular with the bordertown detectives of "The Bridge" and the motley crew on "Community." 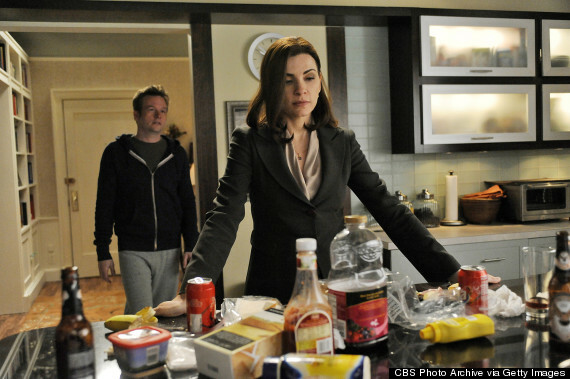 Alicia Florrick (Juliana Margulies), on "The Good Wife," with bottles of FG beer in the foreground. As different as all these brands appear, they're all made by the same company -- one that is not, in fact, a brewery at all. The beer brands come from Independent Studio Services (ISS), a prop house in Sunland, California that has become the most powerful force in the strange, burgeoning world of prop food and drink over the past 20 years. Before that, it didn't much matter what brands of food and drink TV shows used, because no one could see the details on a can of beer as it flickered across a low-definition TV for a couple of seconds. VCRs -- and, more recently, HDTV, DVRs and streaming video -- changed that. Today's tech allows people to pause their favorite TV shows and pick apart tiny visual details from the set, including the packaging of any snacks and beverages the characters enjoy. Eduardo Saverin (Andrew Garfield) drinks Cerveza Clara in "The Social Network." Once viewers started to pick up on prop food and drink branding, prop masters and set decorators -- who are in charge of on-set physical objects -- found themselves in somewhat of a bind. Using real brands puts shows at risk of a defamation lawsuit. If, for example, Nick Miller drank a bunch of Budweiser and then crashed his car, AB-InBev might sue "New Girl" for defaming its brand image. More importantly, using one brand of a product in the show can make it difficult to sell ads for competing brands once the show cuts to a commercial. 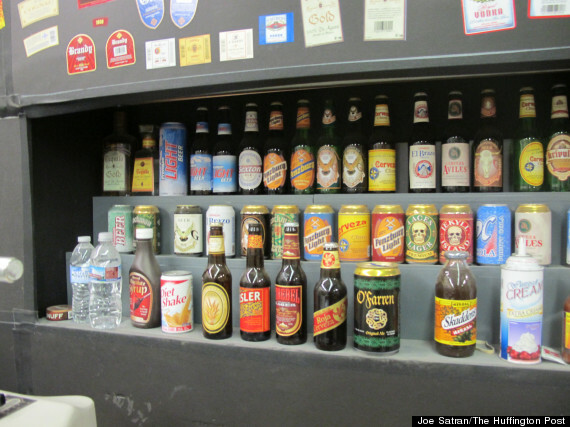 Several different brands of ISS-made beer on an early episode of "New Girl." "They want it to be generic so they can advertise with Coca-Cola as well as Pepsi," said Gregg Bilson, the founder of ISS and a former prop master himself. "One region may want to push Coke, a different region may want to push Pepsi. But if there's a Coke product prominently placed within the program, it's very difficult to advertise for Pepsi." Meanwhile, if a show uses obviously generic packaging, it can jar viewers out of their suspension of disbelief. Sometimes -- especially in a broad, multi-cam comedy -- that can be okay, but it's disastrous in more realistic-looking shows. Heisler beer became closely related to the show "My Name is Earl." So prop masters started looking for fake food and drink that looked plausible, but that didn't actually refer to real brands. A few enterprising prop masters mocked up their own labels in Photoshop, but most sought help from the prop houses that already made and sold the myriad other items that filled their sets -- above all, ISS, the biggest prop house in the business. The Studio Graphics team at ISS designs and produces the food and drink packages, along with other paper-based props like newspapers, magazines and posters. According to Bilson, the group gets about 3,000 orders every year. Beer labels, he said, are their most popular category. So how do all these different beers taste? It's sadly impossible to say, because ISS doesn't actually brew, bottle or can any beer. ("We don't mess with that at all," said Bilson. "That becomes way too complicated way too fast, particularly here in California.") Instead, ISS designs and prints the labels, then pastes them onto bottles or cans of non-alcoholic beer or water, depending on the demands of the show. If there's a shot of a character cracking open a bottle of beer and spilling foam everywhere, for example, ISS will probably go with non-alcoholic beer. But if the character is just sipping a little "beer" out of a can, they're more likely to fill it with water. Regardless of what the can contains, the ultimate goal is usually for it to blend into the background, to be as unremarkable as possible. If the audience's attention is fixed on the beer, the prop master and the ISS Studio Graphics team probably haven't done their job right. But just because the props are meant to be unobtrusive doesn't mean their design is chosen lightly. In fact, some prop masters like to develop elaborate explanations for their choice of brand. Will, the protagonist of "About A Boy," drinks Cerveza Clara. Take "About A Boy" on NBC. When prop master Eugene McCarthy was thinking about what kind of beer Will, the show's protagonist, should drink, he quickly decided that he wanted to avoid using a can that was too close to an existing mass-market beer. He had a hunch that his character, a hip rocker living in San Francisco, wouldn't go with something so mainstream. And, McCarthy said, he didn't want the audience to immediately see that Will's beer sported a fictitious label. "Everybody knows what the major brands of beer in this country are," said McCarthy. "So if we got too close to one of them, everyone would see it and think, 'That's a fake beer.'" Ultimately, McCarthy came up with the idea that at some point in the distant past, Will took a surfing trip to Baja, California, and discovered a little-known microbrewery that made beer he loved. Years later, Will miraculously found a small liquor store in San Francisco that carried that same beer. He started buying it in bulk -- which is how he came to drink Cerveza Clara on the show. Over the course of the first season, McCarthy estimates that he had to buy about 150 bottles of Cerveza Clara from ISS to meet the demands of the shoot, which included at least one party scene with numerous characters holding beverages. According to Leticia Morena, who oversees the Studio Graphics department at ISS, each bottle of off-the-shelf fake beer costs between $15 and $35, so this represented a significant outlay for the production. But it was a whole lot cheaper than a defamation lawsuit from AB-InBev -- not to mention getting canceled. 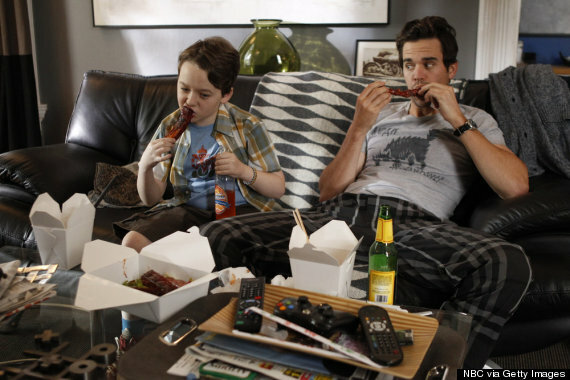 Luckily, NBC picked up "About A Boy" for a second season in May. New episodes will begin October 14. And McCarthy says Cerveza Clara will indeed be back. 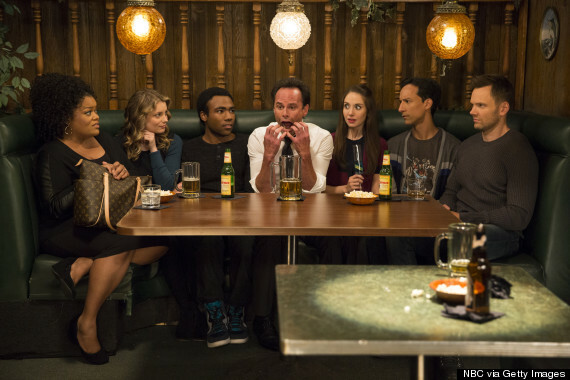 The characters on "Community" often drink Cerveza Clara.